Yes, but look out for signs, some trails don’t allow them. 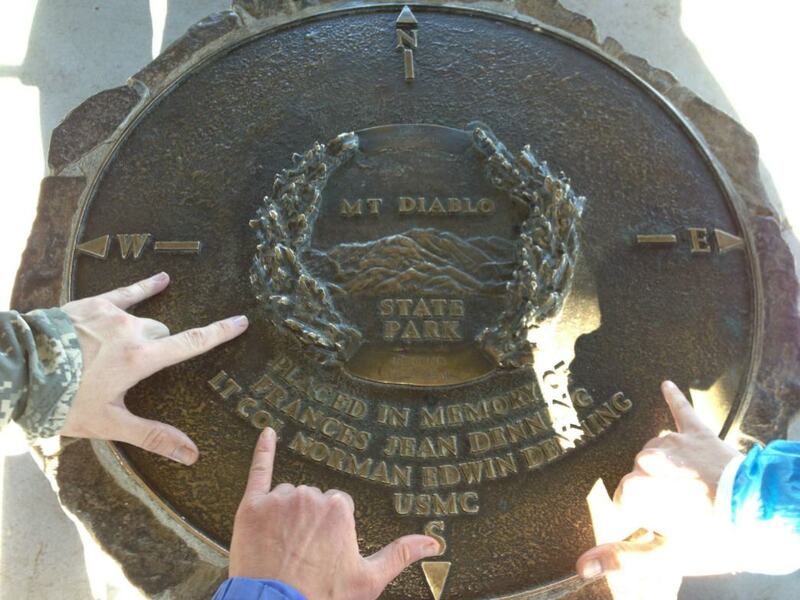 Because of its phenomenal visual height, the summit was a key landmark for mapping and navigation during the gold rush and now serves as the reference datum for land surveying in much of northern California and Nevada. 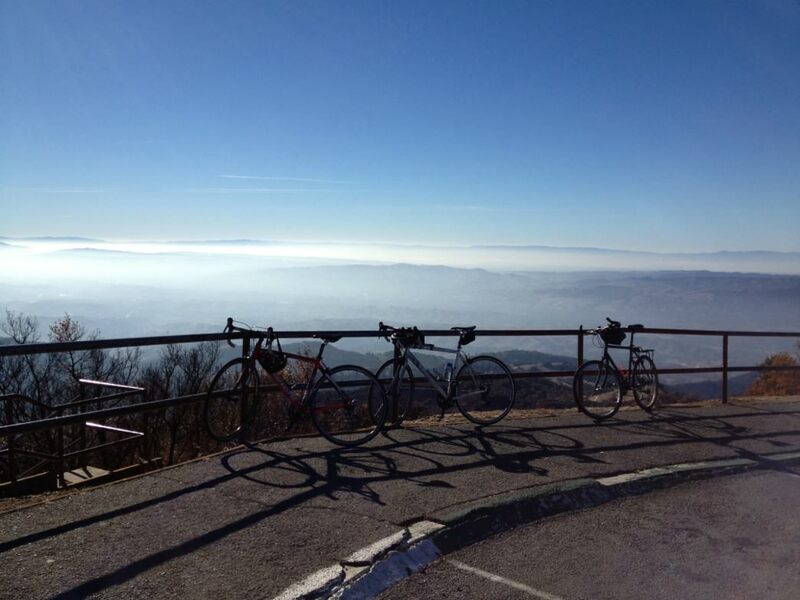 Cycling up Mt Diablo is one of the Bay Area's most epic rides. The 23.5 mile out and back path boasts a jaw dropping view at the summit and what makes that climb all worth your while is the hard earned descent. Climbing this mountain is a slow and steady grind at 5%, but -fair warning- the 13% grade home stretch footpath (about 700 feet long) shoots your heartbeat into your ears. On your way up, you will wind through the 'soft chaparral' habitat whose plants host a number of bird species year round. Visitors have spotted Blue-grey Gnatcatchers and California Towhees. Then as you make your way higher you'll come to the 'hard chaparral that is full of Manzanita bushes and rocky outcroppings. Spottings include raccoons, coyotes, bobcats and even the occasional mountain lion. Diablo is one of the last remaining safe places for the endangered Alameda Whip snake. For a unique experience be sure to plan your trip during the months of September and October when the Tarantulas are out hunting for their mate. This ride is not for the tame of heart! Any seasoned cyclist who likes a challenge will enjoy it - from beginners to advanced riders, this is hands down a must for anyone in the Bay Area. Should Mt Tam enthusiasts need a change of scenery they ought to consider Devil Mountain. The ride can be conquered year round, but keep in mind shade is limited so summer months can be a scorcher. Start early, especially on the weekends when the park is buzzing with people and cars. Conveniently situated on Mt Diablo Scenic Blvd, the Athenian School has a huge lot right across from the soccer field you can park at. From the lot, take a right on Mt Diablo Scenic Blvd and follow it for 3.6 miles to the South Gate Entrance. Continue up S Gate Rd for 3.1 miles until you reach the Junction Ranger Station. You then cruise up the last stretch on Summit Road. BART: From the Walnut Creek BART Station, ride to the S Gate entrance via the Iron Horse Regional Trail. This will tack on 12.1 miles to your journey. 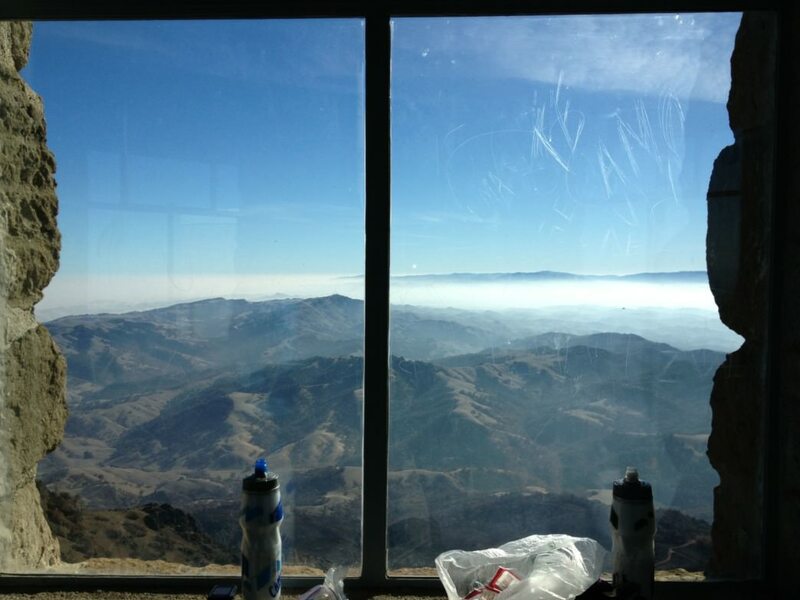 2100 Mt Diablo Scenic Blvd.